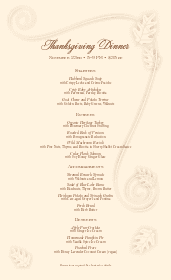 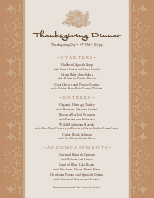 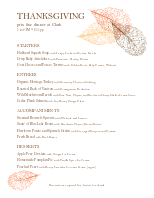 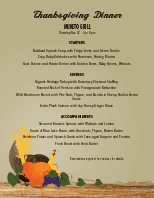 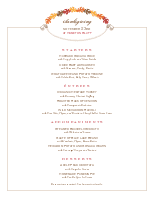 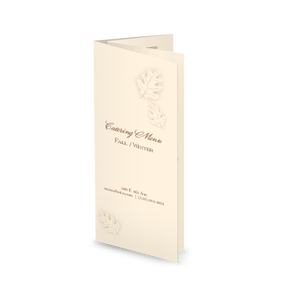 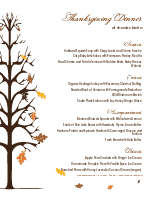 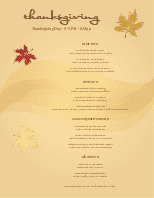 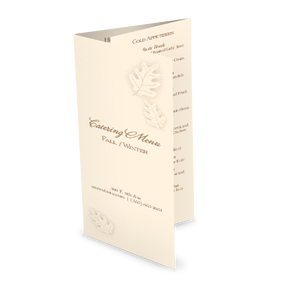 Autumn breezes are suggested by this cafe Thanksgiving menu, covered with falling leaves. 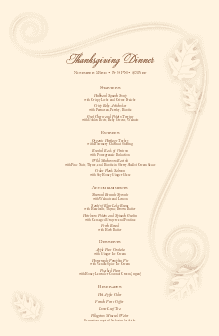 The dinner menu features sections for appetizers, main courses, accompaniments and dessert. 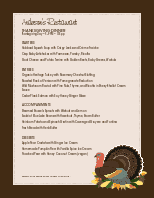 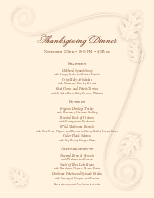 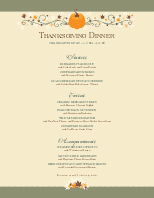 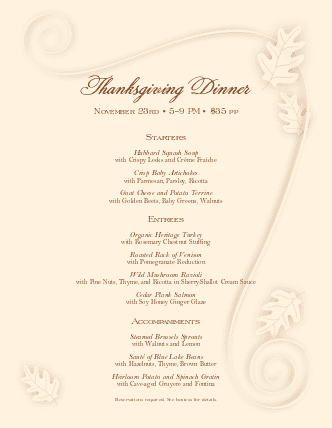 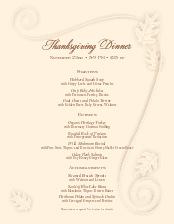 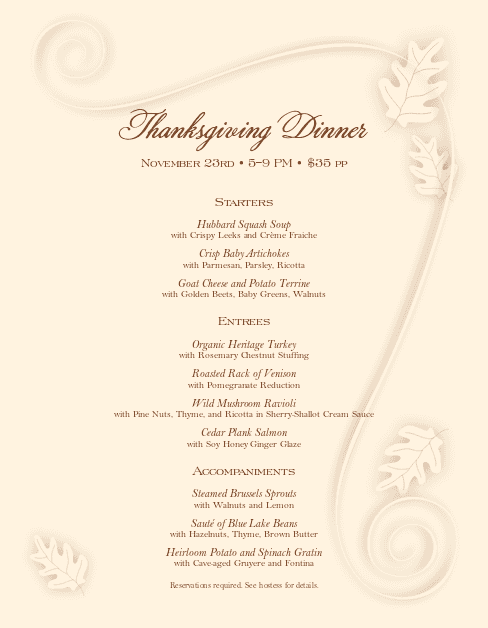 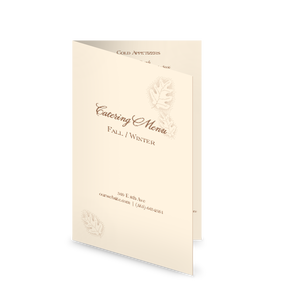 This holiday menu can be updated online using the Menu Editor.